This lesson guide is designed for use with secondary History pupils studying social change in Scotland. Specifically, the lesson guide looks at the decline of ‘old’ and the development of ‘new’ industries, and changes in employment patterns in Scotland up to 1979. Scotland at the beginning of the 20th Century was an increasingly industrialised nation. The late 19th century had seen great movements of population, clustering around the central belt in industrial areas which needed an ever growing supply of workers to satisfy their shipbuilding, mining, steel and other works. While these industries suffered during the Depression between the world wars, the advent of the Second World War and the demand for manufactured goods in its aftermath ensured that they had an important role to play in the economy until the beginning of the 1960s. After this, however, increased foreign competition and domestic strife sent these old, ‘heavy’ industries into serious decline from which they never recovered. While plans were drawn up and implemented to try and make sure that Scotland’s economy could remain competitive in other areas (such as new technologies and manufacturing), the country was seriously affected overall by the decline of the old industries. By 1979, Scotland, and Britain as a whole, had high unemployment and a largely stagnant economy. 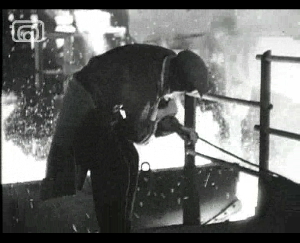 The clips in this resource deal with many aspects of these changes and, as such, are an invaluable aid to helping us understand what happened to Scotland’s industries during the post-war years. The first clip we will look at, ‘Wealth of a Nation’, was part of a series of films made under the guidance of documentary film maker John Grierson for the 1938 Empire Exhibition. It presents a largely positive image of the development of new industries in Scotland before the Second World War. Many of these industries, such as shipbuilding, steel and locomotive works, were to play a key role in the War itself. What happened to Scotland’s population as a result of increasing industrialisation in the late 19th Century? What were the three products on which the Scottish economy concentrated? What percentage of world shipping used to be produced on the Clyde? What negative effects did the First World War have on Scotland’s industry? Who set up the Scottish Development Council and what was its purpose? Describe the new Hillington Industrial Estate? What did it offer? What were its advantages to companies? What differences did modern means of transport make to those in rural communities in Scotland? How might this have helped the economy? Why was there a house building programme during the 1930s? What problems did it face? 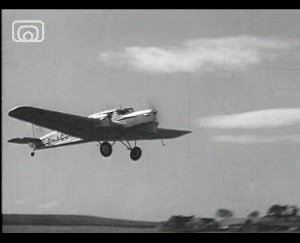 The second clip, ‘Scotland and the New World part 3’, was produced in 1953 for the Central Office of Information, a Government body. It presents a very positive picture of the development of new industries in Scotland. What kinds of buildings can you see being developed in the opening part of this clip? What did the builders hope to attract to Scotland and how successful were they? What was ‘Marshall Aid’ and what advantages did it bring to Scottish industry? Describe the different kinds of machines that are being developed. Which markets are the goods being produced for? Describe the advantages of factory production. In what ways does the filmmaker present a positive picture of Scotland’s industries? How accurate do you think this was? Imagine that you are working for the Scottish Development Council in 1938 and your job is to get overseas companies to invest in Scotland. You are to design a leaflet called ‘Welcome to Scotland’, aimed at ‘selling’ what Scotland has to offer to investors. You should mention the types of industries and skills on offer, the development of new technologies and the modern Hillington Industrial estate. Choose one of the industries featured in the film and use the internet and the library to do some further research on it, particularly looking for any links it might have to your local area. Develop a 5 minute long presentation for delivery in class, including visual aids where possible. 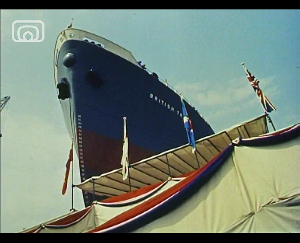 The first clip we will look at, ‘Seawards the Great Ships (clip 1)’, was made in 1961 and was Scotland’s first Oscar winning film. It depicts shipbuilding in all its forms and is a valuable guide to the importance of the industry at the time. Why do you think that Britain, and in particular the Clyde area, became so involved in producing ships? What kinds of ships were produced on the Clyde? Why was the steel industry so important to shipbuilding? The second clip we will look at, ‘Glasgow’s Docklands’, was made in the 1950s by Enrico Cocozza for Educational Films of Scotland. It is an excellent guide to life by the river Clyde at the time, showing just how closely intertwined many people’s lives were with the heavy industry on the river. What types of boats can be seen in the film and what are their different uses? How do people travel across the Clyde in the film? How is this different now? 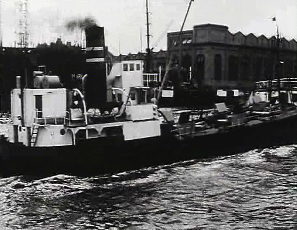 The Broomielaw, where the ships are docked at the start of the film, is just to the west of Glasgow Central station, between the West End and the City Centre. Look up images of the Broomielaw in the present day and describe how it has changed since the 1950s. Describe the things the children in the film are doing for fun? How does this differ from the activities that children enjoy now? Discuss the saying ‘The Clyde made Glasgow but Glasgow made the Clyde’. How accurate do you think it is? Using the National Library of Scotland's maps website, find a map of the Clyde in 1912. How many shipyards are there? How different does the Clyde look now? Choose one of the shipyards and use Google maps and any other relevant websites to find out what has happened to it. Is it still there now? If not, what is in its place? Write a short article describing the changes to the shipyards from the perspective of someone who lived and/or worked in the local area. In groups, make your own short documentary about shipbuilding and its decline during the 20th century. Each group member should have assigned roles as scriptwriter, researcher/s, director, presenter/s and so on. Documentaries should be between 5-10 minutes long and should be presented by your group to the class at the end of the task. 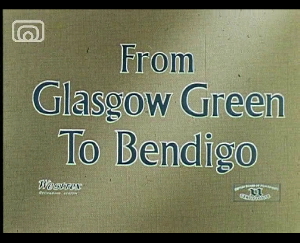 The clip we will look at, ‘From Glasgow Green to Bendigo (clip 1)’, was made in 1961 by Films of Scotland and presents a very positive picture of the carpet industry in Scotland. What was made in Templeton’s factory? 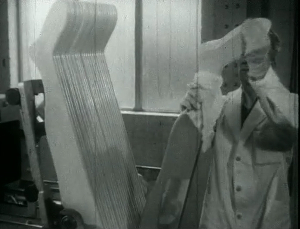 What impression of the factory do you think the film maker is trying to achieve by using footage of Queen Elizabeth’s coronation in the opening sequence? Use the internet to research the history of the Templeton factory at Glasgow Green. When was it built? What is the building used for now? Does this tell us anything about changing industry in Glasgow and, if so, what? Write a short article for the Glasgow Evening Times on the topic ‘Templetons’ Factory – Then and Now’, or make a short documentary about it. Research the history of Templeton’s factory and the carpet making industry in Glasgow. Develop a 2-page leaflet, complete with illustrations, aimed at tourists visiting the factory in the present day. This lesson guide was developed by Olivia Drennan. Updated October 2016.